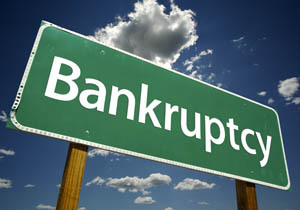 When someone is thinking about filing for bankruptcy, one of the very first things they wonder about is what they might lose. Some people assume if you file for bankruptcy, you basically sign over everything you have worked so hard to earn. Before you panic and assume you will no longer have a roof over your head or the tools you need to work so you can feed your family, let Attorney Kelley explain the facts about bankruptcy exemptions. In New Hampshire, certain property is exempt from being taken by your creditors when you file for bankruptcy. Nearly all people who file bankruptcy keep their home, since under New Hampshire law they are able to exempt up to $100,000 of the equity ($200,000 if a married couple files bankruptcy) in their home. The homestead exemption is only needed to protect the equity in your home, not the value of your home which would be used to pay off the balance of any mortgage on your home. Most insurance policies are also exempt. Nearly all pension plans and other retirement accounts can be retained through the bankruptcy process, meaning you can still count on those as a source of financial security when you retire. Certain household items that are deemed necessary in New Hampshire are exempt. They include, but are not limited to: beds, cookware, clothes, needed appliances, food, fuel, jewelry, and others depending on your circumstances. New Hampshire also has exemptions pertaining to farm animals. While there are dollar limits to all of these exemptions, most people who file bankruptcy retain all of their property through careful exemption planning. When you are considering bankruptcy, Attorney Kelley can carefully review your assets to verify that you will be able to retain all of your assets through the bankruptcy process. If there are non-exempt assets, Attorney Kelley will discuss your options, which would include filing a Chapter 13 bankruptcy so you can keep any property you want. There are many misconceptions about exempt property and the bankruptcy process. Attorney Kelley can answer your questions about bankruptcy exemptions and help you understand all of your options.